illusions salon and spa in colorado springs is just different! 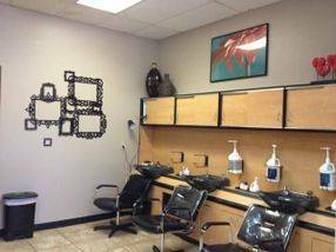 Illusions salon in Colorado Springs is a full service hair salon and day spa offering hair and nail services, facials, eyelash extensions and tinting, face & body waxin, makeup lessons and application. We have been in business at this location for over 17 years. The team of cosmetologists at Illusions enjoys the celebration of beauty with a dedication to relaxation. We center our values around performing high quality services using highly trained service providers. Have you ever been to a Colorado Springs salon and the stylist didn't listen? Have you ever wanted a style that’s customized for you? Have you ever felt like you were unable to duplicate the look at home? If the answer to any of these questions is “Yes”, then this is the place you want to be! ​The Illusions salon experience in Colorado Springs is what you've been looking for. We have found that guests want their designer to listen, genuinely care and take the time to educate them about their hair. Our team practices the highest level of team service, which means that the skills of our entire team are available to you. Meeting your salon service needs and busy schedule is our top priority. This means you can always have confidence and peace of mind knowing that you are in the talented hands of a skill certified team member. You’ll always have the availability of a fresh perspective and you’ll always receive the utmost true quality salon service in Colorado Springs. Unconditionally guaranteed.